Chandler Stoneworks are a family-run business drawing from years of experience in supplying and installing beautiful kitchen worktops in Hampshire and the surrounding areas. 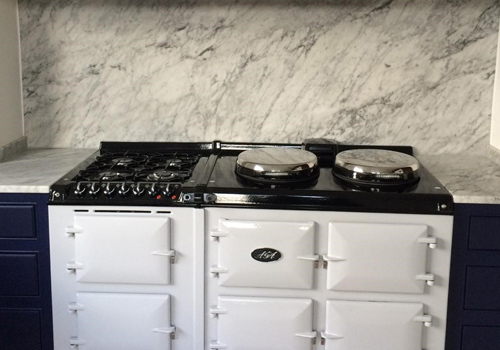 With a team of experienced stone masons, we provide exceptional advice and assistance on marble worktops, limestone worktops and a wide range of other materials including quartz composite, slate, granite and more. 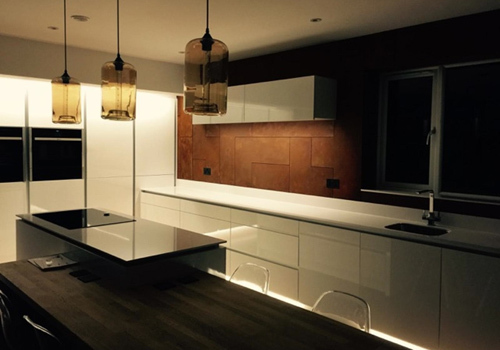 With completely personalised advice provided and an average turnaround of 7-120 days from the initial templating to the complete installation, we take pride in offering fast and reliable service. Our unique project management service will see one of our talented team working with you throughout the entire design and installation process, offering expert advice on how to make the best use of the space available. Chandler Stoneworks also provide cleaning care-kits and maintenance products designed to ensure that your new kitchen worktop remains durable for longer than ever. From a simple kitchen worktop replacement to a full floor and countertop renovation, we can help. 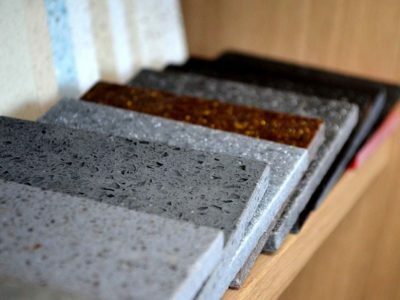 Quartz composite kitchen worktops is a unique material available in a wide range of different colours to suit all kitchen designs and styles. Highly heat resistant and durable to scratches, this versatile material is also available in an ‘eco’ range by the brand Cosetino, where the quartz worktop is made from all recycled materials. Granite worktops add a more contemporary design element to many kitchen designs and are a perfect finishing touch for any kitchen. Available in a number of different speckled designs, granite kitchen worktops are hard-wearing, durable and also highly resistant to heat, making them an ideal choice for more active kitchen environments. A beautifully polished material, slate provides a useful alternative to more colourful worktops as it can come in a range of colours, including green, red and even purple. It is highly durable and ideal for fire hearths due to its high level of heat resistance. Slate worktops are also a great addition to any kitchen because of their low liquid absorption levels. 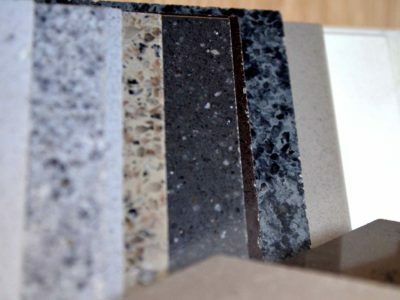 Chandler Stoneworks work closely with a number of leading natural stone manufacturers in order to ensure that we supply only the best worktop and countertop materials to our clients. Our associated brands specialise in a number of materials, a few of which can be seen below. Samsung – Made from high quality materials, these quartz surfaces are specifically designed and manufactured in order to produce a material that requires little maintenance and is four times stronger than alternative materials. 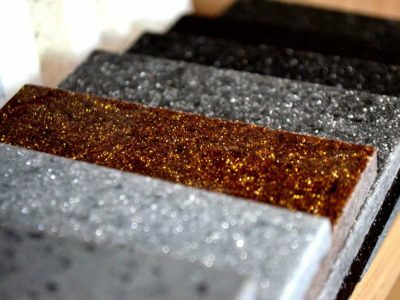 Okite Italian Kitchen Work Surfaces – A bespoke surfacing material created from quartz, natural pigments and a polyester resin. This manufacturer material is highly resistant to heat and five times stronger than granite surfaces, making it ideal for kitchen use. Cimstone Quartz Composite – This Company is the only quartz-based stone producer in Turkey and is famous for its exquisite counter tops and vanity tops. The quartz is of an extremely high quality and beautifully coloured. 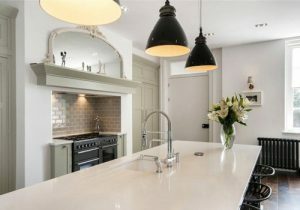 Chandler Stoneworks are a family run business drawing from over 10 years’ experience in the supply and installation of beautiful kitchen worktops in Hampshire and the surrounding area in order to provide clients with expert design solutions regarding their new kitchen renovation. Specialising in a wide variety of different stone tiles, we provide expert advice on the best tiles for your needs, whether you are looking for a good material to surround your fire hearth, the finishing touch on bathroom flooring or the perfect kitchen worktop for your needs. 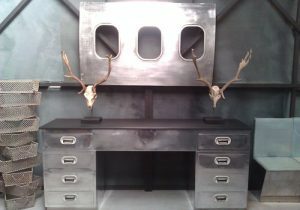 We take pride in offering a completely personalised service that helps you to create the kitchen or bathroom of your dreams. Chandler Stoneworks work extremely hard to ensure complete client satisfaction, which is why we take absolute pride in every testimonial and review we receive from our clients. A few examples of the reviews from happy customers can be seen below. 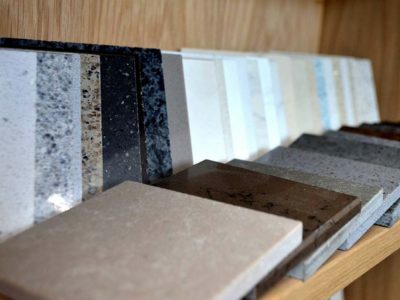 Chandler Stoneworks offer expert solutions for kitchen and bathroom flooring, countertops and worktops across Hampshire and the surrounding area. Whether you are looking for the perfect kitchen worktop for your home, you would like to find out more about the services we provide or you would like to visit our showroom to see what we have available, please get in touch with us today. Simply email us at sales@chandlerstoneworks.co.uk or phone us directly on 01903 885941 where we will be happy to help you. Our showroom opening times are from Monday to Friday 9:30am – 4:30pm. We are also open on Saturdays but by previous appointment only. All our materials and stone tiles are beautifully on show for all clients to see, but if you would like to arrange a meeting with one of our expert stone masons or customer service staff, please phone ahead beforehand so that we can ensure a member of staff is available to greet you. We hope to hear from you soon.